Hey, try increasing the rear toe a bit, it stabilizes the car. Also, try messing with your differential settings first, the LSD really does wonders for you. Notes on the run: Overall, the run was solid. I lost two seconds to two major mistakes. The first was I messed up the Eschbach section, resulting in the car going too wide in the second corner. 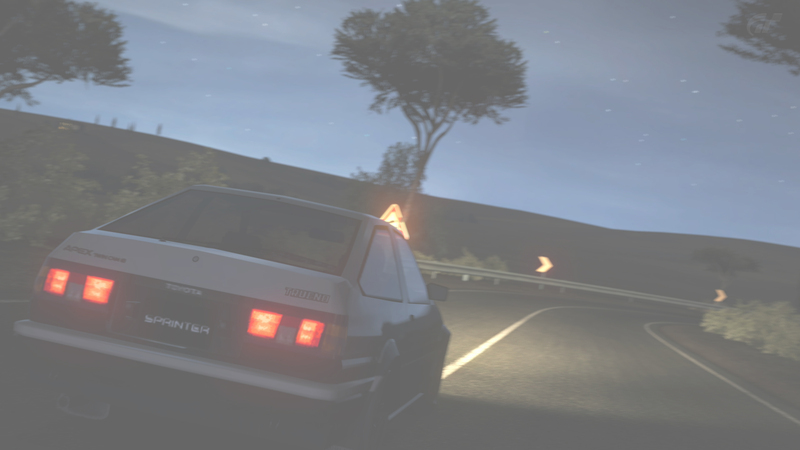 The other error is I screwed up the corner entry during braking at the first left in the Hohenrain section. A loose estimate says that if I had gotten those sections at least somewhat better, I could have cracked the 8 minute barrier at somewhere between 7:59.7xx and 7:59.9xx. 8:07.553 in a Daihatsu OFC-1 for the lulz. It gives me the feeling that it could go much faster, but eh.